Cornell University and Feronia Forests developed a new beverage product that it will release nationwide in April. Called "Vertical Water," the drink is actually maple sap. Though harvested sap is usually boiled down to make maple syrup, the slightly sweet liquid also has a pleasant taste straight, and contains calcium, potassium, magnesium, and manganese. Taste testers preferred it to coconut water in tests at Cornell. Commercial efforts will no doubt be aimed at holders of larger acreage, but it's a product idea some small holders may be able to adapt as a local niche. Other trees besides maple, such as birch, also supply flavorful sap. The Value Added Producer Grant is a very popular grant for micro and small farms that need funds to turn their crops into value-added products. (Value-added examples: Turning berries into jam, turning grapes into wine, turning herbs into dried soup mixes, turning wool into scarves, turning milk into cheese or soap). See our full length article on this grant and other legitimate grants and micro loans for micro eco-farmers. Native orchard mason bees are an increasingly popular complement to honeybees for pollination, especially for early spring blossoming crops. Attract mason bees in March and April with mason bee homes near areas you need pollination. Though solitary, mason bees like their homes to be in groups (aka apartment mason bee homes). They seek multiple long thin tubes with mud nearby to make nesting plugs inside the tubes. Homemade mason bee homes can be made by filling a clean recycled coffee can with plastic straws (gluing them to the bottom) and mounting it horizontally. 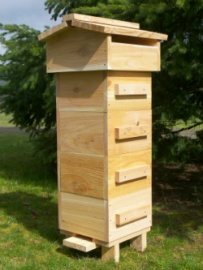 Or, drill untreated softwood 4×6” blocks with ¼-inch to 3/8-inch diameter holes close to four to six inches deep without drilling all the way through.The mason bee homes should be placed where they get at least morning sunshine. Don't leave your frozen, limp greenhouse lettuce for dead just yet. When temperatures get colder, lettuce and other similar plants transfer water away from their cells into the space between the cells. Therefore, frozen water doesn't destroy the cell walls. Once the greenhouse warms up again, the lettuce will spring back if the freeze wasn't too severe. Here's a fun agritourism idea for your micro farm: A small-acreage nursery, Christianson’s Nursery, holds an annual photography contest. Local camera clubs are alerted to their “winter garden photography contest” for amateurs and professionals alike to submit photos of Christianson’s farm. All photos are displayed during a February gathering inside one of their restored historic farm buildings. This creates a fun contest for regional photographers with the possibility of a prestigious award and exposure for their work, combined with a draw for new visitors to the farm, and word-of-mouth promotion for the farm sent out free via regional camera clubs. You may also want to properly quote or properly paraphrase from this report if you’re familiar with copyright regulations. Value-added crop possibility: A new understanding of the value of bone broth is growing among the population — the real thing which has been slow cooked in quality water with a touch of organic cider vinegar to draw out hyaluronic acid, glucosamine, chondroitin and other healthy nutrients our ancestors once enjoyed when using bones in cooking. But bone broth needs to be the real thing: Those interested in it found their way to bone broth outside of the mainstream media, similar to how yogurt was once a non-commercialized and prized rare product until the mainstream made commercial versions that no longer contained the original health benefits. These initial bone-broth fans will be your first customers. So they know that the broth needs to come from the bones, carcasses, cartilage and shells (poultry and crustacean) of animals which were raised and finished grass-fed or natural wild/free range receiving all macro and trace minerals. They know it has to have been slow cooked some say for up to 24 hours, and that when the broth is strained and cooled, they will see the naturally extracted gelatin forming rather than just a steady clear or opaque broth. And, it’s preferably cooked in porcelain or stainless steel so the acid used to draw out the properties of the bones and shells doesn’t also leach out aluminum or other unwanted ingredients. Finding just the right price for bone broth will involve many variables. Customers will understandably complain that bones are cheap to buy from the butcher, and that they can just slow cook their own. Yet humans have been buying products they could be making themselves for a very long time, and there’s no reason bone broth won’t be the same. Be sure to point out the superiority of the grassfed bones/shells you are using over conventional supermarket ones, along with your quality cooking process — even including a more quality water than tap water if that’s the case, and that they’re also paying for your time and their convenience of having it made for them. Rare crop trend: The American pawpaw fruit, also called prairie banana among other folk names, is a native North American fruit that has been slowly making a comeback to popularity. But National Public Radio ran a story recently, as well as other major media, and farmers seeking new fruits to grow may want to take note. Customers for the pawpaw could include both consumers of the fruit itself as well as backyard growers who want to buy healthy seedlings. The fruit can be eaten fresh or turned into value-added products including preserves and pies. Rare crop trend: Heritage turkey eggs may delight your customers, as a growing number of people are seeking edible eggs from unique birds. Very exotic eggs such as emu and ostrich may be beyond your capacity, but consider eggs from heritage turkeys. Speckled turkey eggs are about one and a half times larger than chicken eggs. 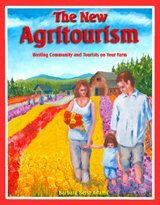 Agritourism trends and connecting non-farmers to farm animals -- here's an idea that will have 'em talking about your farm! The age-old farming advice to not give affectionate names to animals meant for slaughter might still hold true for many. But as rural revival and backyard chickens continue to grow in popularity, farmers are adapting and making informed choices as to when that rule can be broken. Certain animals used for hand milking and egg-laying, for example, are purposely tamed for handling purposes, and even trained further to attract customers to the farm. This also builds respect for farming and the animals involved with awareness for the intelligence of some animals such as chickens who have bad reputations for being “dumb.” A trend for training chickens “tricks” (full report by clicking ‘training chickens’ link) has also evolved into a method allowing their owners to get them to come to the coop on demand, and to attract farm visitors with other entertaining antics. Winter agritourism possibility: A vineyard in the Pacific Northwest takes wine tasters on snowshoeing tours through the snowy landscape in winter. It’s an easy skill for most to learn and to pass on quickly to farm visitors. Investment would include a few pairs of snowshoes, free lessons for you from the snowshoe outlet if the skill is new to you, and an appointment with your attorney about liability insurance and/or waivers for guests to sign. Unusual agritourism project draws crowd: A rural landowner has obtained unwanted old train cars including a kaboose, gradually refurbished them, and now offers them as a unique bed and breakfast destination. Those who want to explore the idea of a rural bed and breakfast business don’t necessarily need restored Victorian country mansions to do so. Banks supporting the CSA movement: In Belfast, Maine, bankers created a fee-free CSA savings account similar to a Christmas Club savings account. Customers can add small regular or occasional amounts to the account anytime throughout the year to make it easier to build up to the full pre-season upfront fee to pay their CSA farmer. It’s a great advantage for most CSA farmers to receive the full year’s fee well in advance of the coming season. Micro farm marketing -- consider teaming up with other local entities: A small town's Parks and Recreation department held a pumpkin carving pizza party for an $8.00 fee, and with registration, participants received a voucher for a free pumpkin 15 pounds or less from a nearby farm that sells pumpkins, ornamental gourds, ornamental corn, and other seasonal crops. Studies show that many people who come for one pumpkin end up buying more once they see what’s available. And the city catalog that described the farm went out to every resident of the local town, meaning the farm's name is promoted to a lot of people for free. Registration for the pumpkin carving workshop is limited, so the farm doesn’t have to be concerned with giving away too many vouchers. Clever marketing for farmers market teaming up with local bicycle shop: A small town's farmers market held an official “Ride your Bike to the Market Day” Saturday event to help draw attention to the market and promote the good will of encouraging people to exercise and protect the environment. The event included a parade that started at 10:30 a.m. in a park several blocks from the market and encouraged decorated bicycles. Community volunteers included owners of a local bike shop who greeted riders when they arrived at the market and answered any bike safety or maintenance questions they had, along with providing free local bike maps. The local newspaper picked the story up, put it on the front page, and both the farmers market and bike shop benefited from the positive exposure. Draw attention to lesser-known micro egg/poultry farms: A poultry club in Washington State earned income and drew attention to its members' poultry ag-projects by putting on a chicken coop tour. Local farms and backyards were open on the day of the event to show various chicken coops, enclosures, and other creative ways of raising chickens. Owners of the chicken coops were on hand to talk with the public. The tour was self-guided, and the club members sold tickets via local farm and garden stores for $10 each, with a map provided with each ticket. 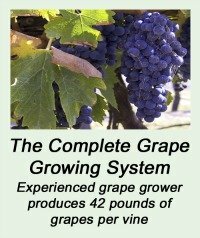 Free help/farm training for established micro farmers or micro farm wannabes: Want to learn how to farm, or need free help on your own farm? Contact a group called “Crop Mob.” There was a time when many small family farms dotted the countryside, and neighbors helped neighbors. Crop Mob’s mission combines aspiring farm wannabes who want farm experience with the time-honored community helping hands farmers once had more of. There used to be a centralized service that helped people find or set up a crop mob in their area. Now, people are organizing their own. As a farmer, you can search online for crop mobs in your area to see if there's a local organization already established that you could team up with. The link above takes you to crop mobs across the country. Different than ongoing solitary or small group long-term internships, groups of eager helpers will arrive to help with the types of work that really need community effort. No money is exchanged. Do talk to your attorney or insurance agent regarding liability. In some cases, your agent may want extra coverage for such an event. But with the use of waivers and a one-day insurance rider (which can cost less than $15 in some areas), you may decide it's worth your while. Keeping chickens safe when feeding certain healthy leftovers: Some print ag magazines have suggested feeding chickens leftover lettuce or produce from the market that’s a little too wilted for humans’ taste, as well as winter squashes including pumpkins. Both of these can be useful, but when feeding (hopefully organic) veggie leftovers from markets, be sure not to toss in the rubber bands that sometimes accompany the produce when purchased. If rubber bands get stuck in the chicken’s crop, it can remain there indefinitely, filling up the space while the chicken gets thinner and thinner no matter how much she tries to eat. Also, be sure chickens have plenty of grit when being fed the large, hard seeds of winter squash. Grit consists of sand and tiny pebbles (oyster shell, crushed egg shells and compost/soil won’t suffice). And, make sure this food is just a supplement. One farmer found one of his ill hen’s crops full of too many undigested winter squash seeds when it had gorged on them too quickly and with too little grit to grind them. For berry and table grape growers, give your customers fun tips on freezing the fruit: Here’s a handful of tips you can offer via your farm newsletter or the free recipes you hand out to berry customers. In the summer, freeze berries and use them to chill fruit drinks. For most berries, freeze them untouching on a tray, then the frozen berries can be poured into a freezer bag for future storage and will stay frozen without sticking together. Most berries such as blueberries and strawberries… even grapes and cherries (seedless or pits removed), have a great texture when frozen whole. Your customers can also put fresh berries on kabob or popsicle sticks and freeze them for summertime snacks. A free way to increase milk in your herd... name the animals! The "Ig Nobel prizes" are awards given to legitimate scientific research that can’t help but make one laugh at first, but then make one really think after the laugh is over. Such an award was given to scientists at Newcastle University in a study that involved 516 dairy farmers in the UK which found that cows with owners who named them yielded more pints of milk. Some dairy farmers who were part of the study were noted as agreeing with the findings, with comments such as that when cows are treated as individuals, their milk production increases. It can’t help make one laugh, but the owners of family cows and small scale dairy farming of long ago must have been following some smart instincts when they went out to milk Petunia, Daisy, Bossy, Maribelle, Buttercup, and Ruby. Small dairy farming has many advantages over mega dairy factories, and here’s yet another one.